Orthopedic best ankle supportive canvas walkers. It is next best orthopedic thing to leather high tops. All kids in Europe wear them daily since they provide ortho support like leather high tops. Ankles are supported at all times, they have arches, stable soles and none sweat soles. Millions of toddlers grew up on those shoes in Europe and end up with perfect feet. 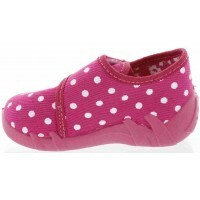 Those house shoes are certified by European board of pediatric and orthopedic society. That side clip on the canvas secures them all day long and stabilizes the ankles. 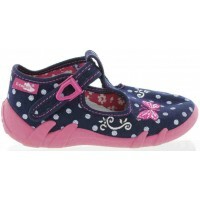 Child walks around in those shoes all day long and feet are none smelly, supported and well protected. Try them kids love to wear them. 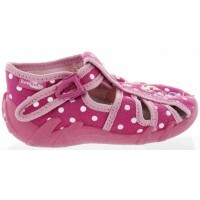 Canvas sandals with good arch for a toddler. 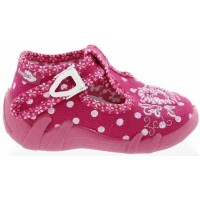 Daycare walking slippers for a toddler with high support Best orthopedic slippers for a child with ankle support Learning to walk best house shoes for a baby. Made out of fuchsia canvas material filled with polka dots. Close with a fully adjustable clip.. 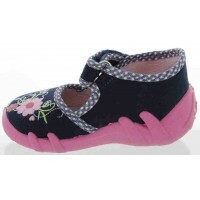 Healthy walking slippers for kidsWide width baby slippers with high instep Navy canvas material filled with polka dots. Decorated with a butterfly. Fully adjustable clip will stabilize child's foot. 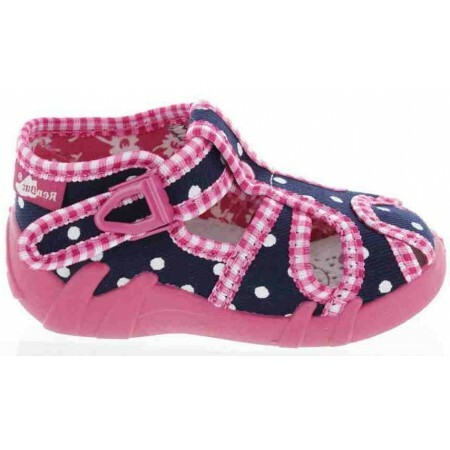 Arches present in the soles of the house shoes, Al..
Best house shoes for toddler with archesHouse shoes for toddler best for learning to stand and walk. Made out of pink canvas material filled with polka dots. 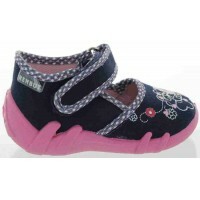 Adjustable clip that will stabilize child's foot.Foot forming best canvas house shoes for kids.. Slippers for kids with high arch support.Ortho shoes for a baby new walkersBest quality orthopedic arch support house shoes for kids. 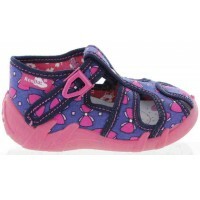 Fuchsia canvas material filled with white polka dots. Side clip for easy adjust. 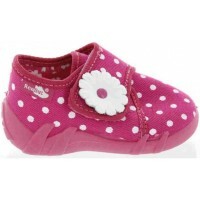 Best house shoes for a child that ..
Ankles turning in best fix house shoesHigh top slippers for a baby with regural to wide feet Unique ortho European slippers for baby girl.Has it all proper foot support for a young walker. 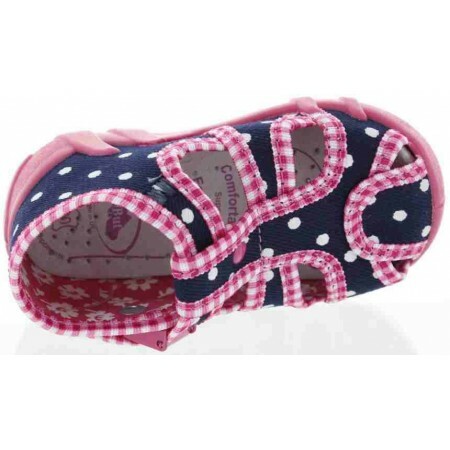 Baby's feet are fully supported in those shoesNotice the back of the ru..
Tipy toes stop house slippers.Slippers for a baby with best arch support and heel support Made out of navy canvas material decorated with flowers. Close witt special buckle - easy close. Good arches inside those little walkers. 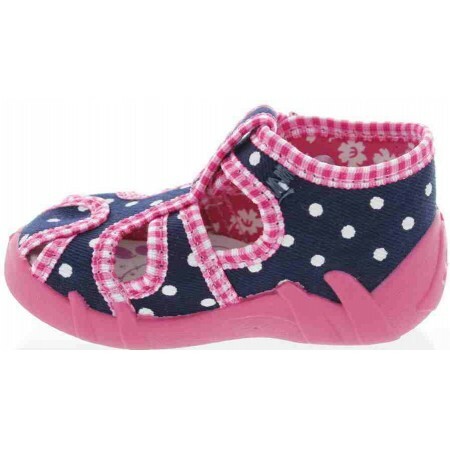 Sole is orthopedic ar..
Ankle support slippers girl with archesQuality slippers for a toddler Adorable European slippers with hearts.Baby house shoes best to learn house to walk and stand.Slippers that have been designed by orthopedic doctor over a decade ago. Very popular in Europea.. Shoes best for fallen arches.Orthopedic arch support for walking and weak ankles. Canvas shoes with arch support for a toddler from Spain. Made out of red canvas material featuring a dog.Good arch sneakers for kidsWill not sweat in those at all. 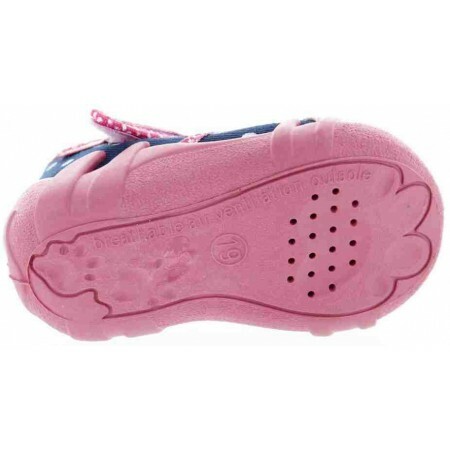 Perfect for Su..
Good house shoes for girls with high arches.Canvas orthopedic toddler house shoes with good arch.Pink canvas material decorated with polka dots and heart.Easy clip on and off. 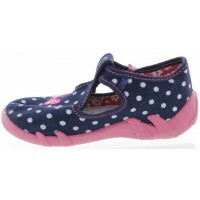 Antibacterial profiled innersoles with great arch support.Perfect house shoes ..